Numerology Defined – What is Numerology? Once the blinders are off, knowing who you are, you will see everything in a different light. Numbers are everywhere. Each has information waiting for you to notice. 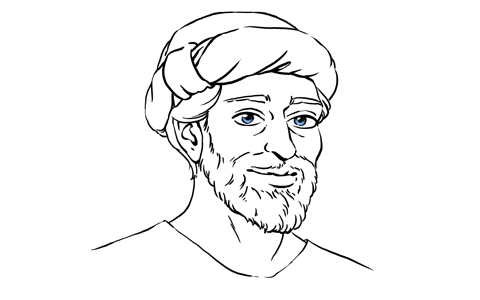 Since 580 BC, Pythagoras has been referred to as the father of math. He developed his well-known Pythagorean Theorem that is so powerful it is still unfolding the mysteries of life today. We have researched and discovered that the Pythagorean Mathematical Formulas, also known as Numerology, are an excellent source of ancient wisdom to access when looking for your career choices. He designed these formulas to help people understand themselves – who they are and where their focus and direction in life could lead them. Pythagoras’ work has proven itself for over 2600 years as a powerful tool for guidance in the areas of your identity and your destiny. Pythagoras knew the power of math used with the proper formulas can reveal many answers about the vocation that will fulfill you. Why do I need Numerology? How can I use it? A whole new way of seeing the world opens up when you learn how to create and read a Numerology chart. Want a chart showing you which way to go? What would you do if you could have a glimpse of your destiny AND knew what milestones were coming? Am I getting married? If so, when? Do you see me staying in my current career? Do you see me moving? If so, when? Why do relationships seem so challenging for me? How do people see me showing up?